« Do You Want To Make £25 In Cash? Then Refer A Friend! Do You Want To Increase Profits In Your Business? You Can, By Introducing An LF2 Vibration Plate. 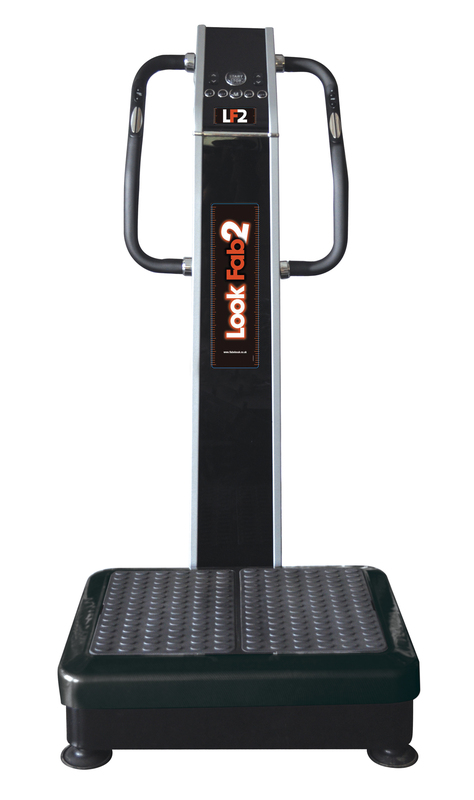 The LookFab2 vibration plate isn’t just for people using at home, it’s a great earner to add to an existing, or new, salon or business. The LF2 is a perfect way to introduce something new and a bit different, to entice new customers, which in turn increases foot flow and profits. Advertise correctly, with all our expert marketing, and watch customers fly in to try the LF2. We suggest every business to advertise that customers get their first go free. We have found this technique works in our own salons and with every salon we have provided an LF2 commercial marketing package for. There’s no doubt they’ll come back to book a course once they’ve experienced the LF2 for 10 minutes. We provide a full commercial marketing package, extensive knowledge in vibration plate training, and an amazing 12 month warranty, where we will swap the LF2 if anything mechanically fails. It is very rare we have to swap any plates as they are built to with stand commercial usage. However, like any mechanical product we do get the odd problem, and we feel this warranty is the perfect way to deal with any problems. No other business can offer a warranty like this! We have 4 payment options to choose from including the fantastic trial option! Literally trial the LF2 vibration plate in your business, you will receive the LF2 vibration plate, full training, and marketing package all for free, for 60 days! We then ask you to make a decision, If it’s not for you then simply hand it back or if it’s the best thing you could’ve done then you just have to choose which payment option you’d like to go ahead with. Simple as that! If you’d like to know more about our other payment options then please contact the commercial department on 0161 344 0726 where we will run through all our competitive rates for owning your own LF2 vibration plate. Now don’t forget to sign up to our newsletter, which can be found on our website and on Facebook, all we need is your email address, and you will receive a monthly newsletter with all competitions and special offers sent to you first hand. Look for this image (below) and fill in your details. You can also follow us on Twitter and Pinterest. This entry was written by lookfabulous2, posted on June 12, 2015 at 11:12 am, filed under Uncategorized. Bookmark the permalink. Follow any comments here with the RSS feed for this post. Post a comment or leave a trackback: Trackback URL.